The Journal of Information Technology and Applications (JITA) publishes quality, original papers that contribute to the methodology of IT research as well as good examples of practical applications. Authors are advised that adherence to the Instructions to Authors will help speed up the refereeing and production stages for most papers. Manuscripts should be written in English. All authors should obtain assistance in the editing of their papers for correct spelling and use of English grammar. Manuscripts should have double spacing, with ample margins and pages should be numbered consecutively. The Editors reserve the right to make changes that may clarify or condense papers where this is considered desirable. Papers should not normally exceed 12 Journal pages (about 8000 words). However, in certain circumstances (e.g., review papers) longer papers will be published. Manuscripts must be submitted through the JITA online submission system. Please read the instructions carefully before submitting your manuscript and ensure the main article files do not contain any author identifiable information. Although PDF is acceptable for initial submission original source (i.e. MS Word) files will be required for typesetting etc. separate file containing the names and addresses of the authors, and the name and full contact details (full postal address, telephone, fax and e-mail) of the author to whom correspondence is to be directed should be uploaded at the time of submission (you should select Contact details/Biographies as the file type). This file is not shown to reviewers. This file should also contain short biographies for each author (50 words maximum each) which will appear at the end of their paper. The authors’ names and addresses must not appear in the body of the manuscript, to preserve anonymity. Manuscripts containing author details of any kind will be returned for correction. The title of the paper should not be longer than 16 words. The first page of the manuscript should contain a summary of not more than 200 words. This should be self-contained and understandable by the general reader outside the context of the full paper. You should also add 3 to 6 keywords. Figures which contain only textual rather than diagrammatic information should be designated Tables. Figures and tables should be numbered consecutively as they appear in the text. All figures and tables should have a caption. Sections and subsections should be clearly differentiated but should not be numbered. Papers must be written without the use of footnotes. Mathematical expressions and Greek or other symbols should be written clearly with ample spacing. Any unusual characters should be indicated on a separate sheet. Spelling must be consistent with the Concise Oxford Dictionary. References in the text are indicated by the number in square brackets. If a referenced paper has three or more authors the reference should always appear as the first author followed by et al. References are listed alphabetically. All document types, both printed and electronic, are in the same list. References to the same author are listed chronologically, with the oldest on top. Journal titles should not be abbreviated. Avramović ZŽ (1995) Method for evaluating the strength of retarding steps on a marshalling yard hump. European Journal of Operational Research, 85(1), 504–514. Walsham G (1993) Interpreting Information Systems in Organizations. Wiley, Chichester. Huberman AM and Miles MB (1994) Data Management and analysis methods. In Handbook of Qualitative Research (Denzin NK and Linkoln YS, Eds), pp 428-444, Sage, Thousand Oaks, California. Paper Huberman AM and Miles MB (1994) Data Management and analysis methods. In Handbook of Qualitative Research (Denzin NK and Linkoln YS, Eds), pp 428-444, Sage, Thousand Oaks, California. Nandhakumar JJ (1993) The practice of executive information systems development: and in-depth case study. PhD Thesis, Department of Engineering, University of Cambridge. Proofs of papers will be sent to authors for checking. Alterations to diagrams should be avoided where possible. It will not be possible to accept major textual changes at this stage. Proofs must be returned to the publishers within 48 hours of receipt by fax, first-class post, airmail or courier. Failure to return the proof will result in the paper being delayed. Corresponding authors will receive a PDF of their article. This PDF offprint is provided for personal use. It is the responsibility of the corresponding author to pass the PDF offprint onto co-authors (if relevant) and ensure that they are aware of the conditions pertaining to its use. The PDF must not be placed on a publicly-available website for general viewing, or otherwise distributed without seeking our permission, as this would contravene our copyright policy and potentially damage the journal’s circulation. Please visit http://www.jita-au.com to see our latest copyright policy. The copyright of all material published in the Journal is held by Paneuropean University APEIRON. The author must complete and return the copyright form (Author's Warranty and Transfer of Copyright Agreement) enclosed with the proofs. Authors may submit papers which have been published elsewhere in a foreign language, provided permission has been obtained from the original publisher before submission. 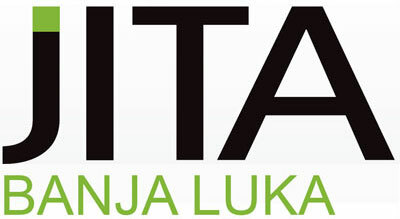 Authors wishing to use material previously published in JITA should consult the publisher. Authors should submit their short biographies up to 100 words at the end of their work and, possibly, an picture. All final material must be submitted electronically in its original application format (MS Word is preferred). The file must correspond exactly to the final version of the manuscript. We take an active interest in issues and developments relating to publication ethics, such as plagiarism, falsification of data, fabrication of results and other areas of ethical misconduct. Please note that submitted manuscripts may be subject to checks using the corresponding service, in order to detect instances of overlapping and similar text.